Car accidents can happen to the most careful drivers, which is why cheap car insurance is important to protect yourself. Sometimes car accidents occur because you are making mistakes you aren’t even aware of. We’ll look at 10 of the most common driving mistakes people make every day. 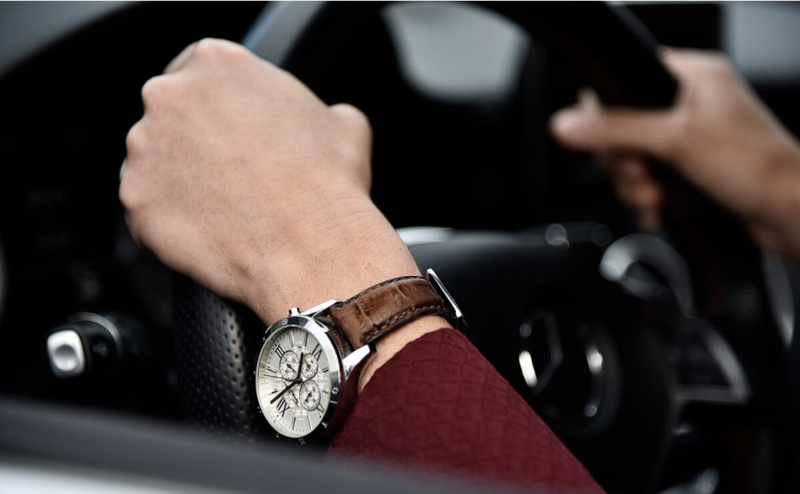 Driving too slowly is one of the most common mistakes people make and many drivers aren’t even aware that it can be just as dangerous as speeding. You should be driving at a speed that is within the limit but also doesn’t affect the normal flow of traffic. Many drivers have not adjusted their rear and sideview mirrors correctly. The general method for aligning your side mirrors is to make sure you can view as much of the road as possible. You should avoid having any of your vehicle visible in your mirror and have a clear view of the rear window. Headlights aren’t just for night driving, they should be used based off the driving conditions. You should use your headlights where your vision is affected. Examples include turning on your headlights in foggy conditions, wet weather, or early in the morning when the sun hasn’t risen yet. One common driving mistake many people make is to change lane while turning. This happens often when you have double turn lanes at traffic lights and roundabouts. This is an easy way of getting into a car accident. We might have all done it - but we shouldn’t. Yellow lights are an indication you should prepare to stop but most people see it as a sign to accelerate. Speeding at yellow lights can affect the flow of traffic and cause accidents. When you pass a school bus that has pulled over to pick up or drop off students, by New Zealand law you have to reduce your speed to 20km/h when passing. This is done in the best interests of children who may cross the road after getting off. Be wary of driving around school busses and zones! Also known as ‘dry steering,’ steering while stationary can put a lot of stress on your vehicle. There will be instances where you may have to steer when not moving, but it’s best to avoid any stationary steering. You’re probably thinking: what? The classic jandal is the go-to piece of footwear in New Zealand. The sad part is, wearing inappropriate footwear can cause accidents while driving. While there is no law prohibiting jandals while driving, it can be dangerous to wear jandals due to the loose-fitting design. Tailgating! Many people tailgate for a number of different reasons. The benefits are little and the risk of getting into an accident are high. Regardless of the driving situation, make sure you have a safe distance between your car and the one in front of you. Driving Mistake #10: Not indicating! Indicating is one of the first things new drivers are taught but, surprisingly, there are many who don’t use their indicators. The general rule of thumb is: If you intend to turn or change lane, you should indicate to give other drivers a heads up. How many of these driving mistakes are you guilty of? Even the most careful of drivers make mistakes whilst driving. Accidents can be caused by yourself and also by other drivers on the road. It’s better to be safe than sorry - protect yourself with car insurance! Compare car insurance quotes with glimp and find a package which works for you. Glimp Exclusive Offer. Don't Miss It! for 6 months, then $84.95 /month. 12 month contract. glimp is a comparison website for utilities, such as broadband, power and gas. We are on a mission of saving Kiwis time and money. In Jan 2016 we launched our first product - broadband comparison. And now we have launched power and gas, as well as credit card, comparison. Located in Auckland, Wellington, Christchurch and everywhere else in New Zealand. Was a very easy process to review the options and to choose the best for us. The subsequent registration process and transferring to the providers questions and signing up was also made easy. Thank you for setting up the functionality. Managed to score an awesome Electricity and Broadband deal through this site! Loved how easy and accessible things were without having to compare sites separately for our needs! Will totally recommend to others! Thanks Glimp, keep up the good work! Such a user-friendly website! Provided the best deals for both broadband and power companies specific for each customer. Uncomplicated sign up process, completed in under 10 minutes! Very effortless and assistance is available if required. I highly recommend to all who desire a quick and simple switch or sign up! As easy as 1 2 3. No need to contact individual service providers. All options are just one click away to make your choice. Great idea and easy to follow but turns out the supplier I chose can't supply electricity in my area. Would be good to know this at the get go so I don't waste my time.